The California Judges Foundation was founded in 1966 as a 501 (c)(3)non-profit, tax-exempt corporation. CJF is administered by the CJA staff and supervised by a nine-person Board of Directors. CJF is dedicated to educating the public about the importance of an impartial judiciary for the administration of Justice in California. One of the primary traditional roles of CJF has been to provide funding for each edition of Judge David Rothman's California Judicial Conduct Handbook - the undisputed treatise on Judicial Ethics. This book is provided free to every bench officer in the State courtesy of CJF and is also available for purchase. CJF is pleased to announce that it is supporting the funding of a Fourth Edition of the Rothman's Judicial Conduct Handbook, which is in development. This new edition adds several additional authors who, together with Judge David Rothman, will bring you an updated and fully integrated treatise on Judicial Ethics. When the new edition is published in 2016, CJF will provide a copy free to every bench officer in the State. The Fourth Edition will also be available for purchase. CJF also provided the funding for a video presentation that CJA members created on the Impartiality of the Judiciary. This video and its accompanying handbook are available to judicial officers statewide who are interested in using it to make a presentation to a school or adult group about the Judicial Branch. Finally, the California Judges Foundation supports judicial outreach by members of the judiciary to the public. CJF provides grants to help the implementation of judicial outreach programs that our courts and our judges have developed, but which are in need of a funding source. The work of CJA and CJF would not be possible without the support of Bench officers. 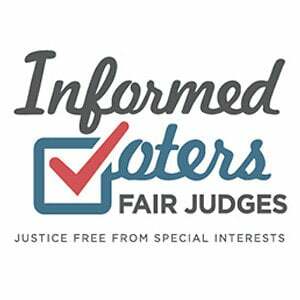 Please support your foundation and efforts to educate the citizens of California about the need and value of an ethical, fair and impartial judiciary. You may do this in a number of ways. You may donate on this website. You may send a check to the California judges Foundation. You may participate in the silent auction that CJF has at each CJA Mid-Year Conference. You may also be able to make a donation directly with your CJA dues.